The PM would address members of SHGs operating across the east Maharashtra district and might declare some welfare schemes for them, the Union Minister of State for Home told reporters Sunday night. 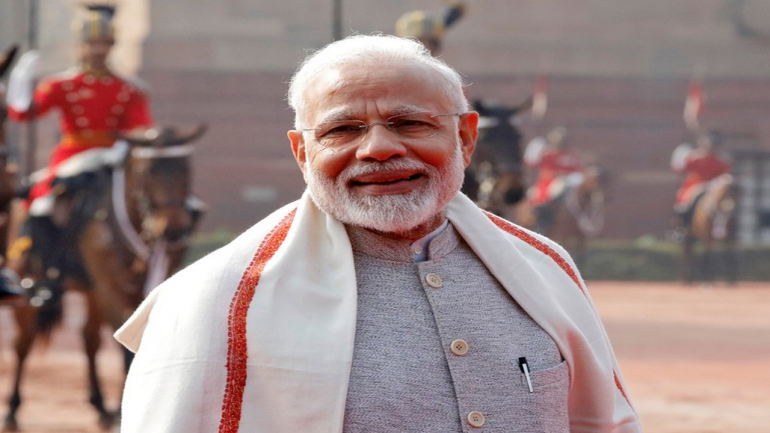 Prime Minister Narendra Modi will sound a poll bugle on February 16 from Pandharkawda town in Yavatmal district of Maharashtra at a rally of women members of Self Help Groups (SHGs), Union minister Hansraj Ahir has said. "Preparations for the PM's visit have already been started. This is the place from where PM Modi is set to sound the bugle for the forthcoming Lok Sabha elections," said Ahir, who represents Chandrapur Lok Sabha seat of which Pandharkawda is a part. Ahir said over three lakh women are expected to attend the rally. The prime minister had in the past addressed women SHG members from adjoining Ghatanji tehsil through a video link, he said. Yavatmal, which is a part of the extended cotton belt in the Vidarbha region, used to be called as the "suicide capital of farmers". Yavatmal-Washim Lok Sabha constituency is being represented by the Shiv Sena. The opposition Congress has planned protests on Saturday to oppose the prime minister's visit, claiming that he has "failed" to fulfill the promises given to local farmers during his earlier visit in 2014. "We have decided to protest against Modi's second visit to the district," former Maharashtra Social Justice Minister and senior Congress leader Shivaji Moghe told reporters. He said the party workers would put up boards displaying 'Modi-No Entry' message along the roads leading to the rally venue. Modi had visited Dabhadi village in the district on March 20, 2014 as the prime ministerial candidate of the BJP, as part of the 'Chai Pe Charcha' interaction with farmers. "Modi had then assured implementation of a 20-point programme for farmers if voted to power, but he has failed to keep that promise," Moghe claimed. He said: "We demand that Modi visit Dabhadi village again and give account of the assurances he had given to farmers". Former state unit Congress president Manikrao Thakre said the PM's visit was aimed at garnering votes of women for the polls.